What a great time in the life of our church to have so many children! 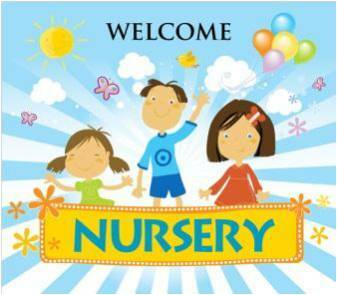 We welcome your child and ask that you sign them in and out on the clipboard by the door. Our Nursery is open to children birth to age 2 during the Sunday School hour (9:45-10:45am), and from birth to age 4 during the Worship service (11:00am). For those children 3 and older, Sunday School and Children’s Church are excited to welcome them. We do not serve snacks, but welcome you to send something with your child. If you have any questions, please see Lisa Grant, Children's Director. Thank you for allowing us to share God’s love with your family.